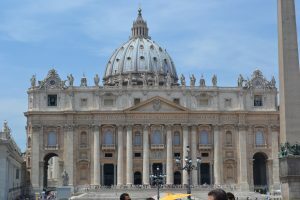 Canonization – According to the Church Canon Law, a canonization is a process of proclaiming a person who died as a saint. I.e. as a sacral figure in the religion. The church includes then him/her on the list of saints, called “canon”. Different churches set-up different legal rules for this process. For example, in the Orthodox church, if a person has committed a murder, then the Church cannot proclaim him/her as a saint after death. I.e. killing is a prohibition for canonization.